Six college students sneak into abandoned jail on a warm August night in 1980. Being young, the students think they are invincible until an accident occurs causing each of the survivor to face the consequences. As they try to move on, it becomes clear that the dark night has left a stain on their lives. The incident is bought to life when chef Jon Casey is accused of murder. Judith Carrigan can prove he is innocence but that would cause her own dark secrets to surface. What secrets are Judith hiding? What occurred the night of the accident? Will Judith be able to tell the truth even if it means destroying her own life? The novels narrates the story from 1980 and present day. It was a quick and interesting read. However, I felt the story about the murder took a backseat to one of the characters dealing with their past and sexuality. 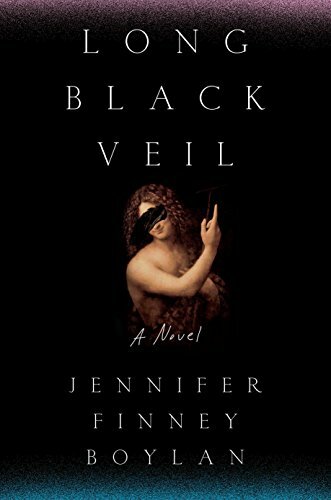 An interesting book that humanizes the struggle people face when changing genders but I wish there was a bit more focus on the murder aspect of the story. A good book and I look forward to more books from the author! A new type of lip tint, where you smooth on some of the formula and wait a few minutes to dry before peeling off the dried product to reveal a "wine color" tint. The smudge proof lip tint promises to be budge proof for 12 hours. I felt the tint was more sucking on a red lollipop in color than wine color. I would recommend using a lip scrub and lip balm to ensure there is no flakes on your lips, otherwise it would be painful to pull off. Another thing to note, be sure to use enough product otherwise it will look blotchy (or use too much and it bleeds through and goes on your teeth -- I am still trying to find the perfect ratio!) An interesting product and I will definitely try other colors. The war has ravaged Earth and it's residents. However, when the Delonese arrived eleven years ago, the world is starting to change. Corporations rule the citizens instead of governments while there are aliens who orbit the Earth. The only thing constant in Sofi's life is her younger brother, Shilo. Both siblings are involved in the violent Fantasy Fighting games, even though Shilo is there against his will. In the middle of their game, a bomb explodes and kills many of the players and audience. Rumor has it that Shilo is among the dead, but Sofi refuses to believe he is gone. She dreams of him and of the Delonese ice planet. Why is Sofi having those dreams? Are the dreams and the bomb connected? The book was a quick and intense read. It had an interesting story line and once I started it, I couldn't stop reading. 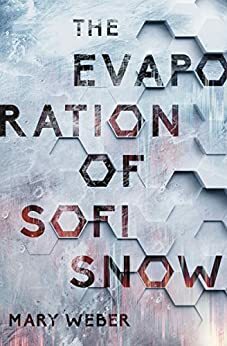 I kept greedily reading page after page to find out what would happen to Sofi and Shilo. 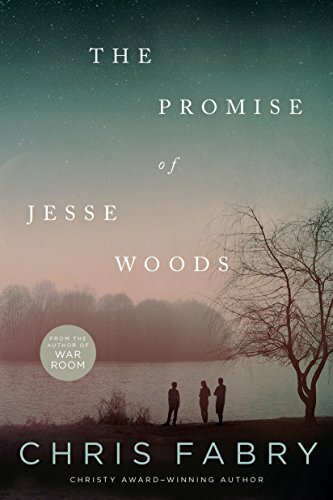 The story delivered with well developed lovable but flawed characters but I was quickly disappointed to find out the story just ended on a cliffhanger. And not a cliffhanger that made you wonder, "What is inside the box" but it ended very abruptly. It left me with an unsatisfied feeling; annoying given how much I fell in love with the characters. An interesting read but if you are like me, wait until you have the next book in hand otherwise you might be disappointed. In the summer of 1972, Matt Plumley's family moves from Pittsburgh to Dogwood, West Virginia when his father joins the church as the new pastor. At a pivotal time in his childhood, Matt befriends two outcasts; Dickie a mixed race boy and Jesse who is raising her younger sister. Matt and his friends forge bonds but when tragedy strikes, it threatens to rip them apart. Will Matt and his friends be able to save their friendship? The novel was an interesting read and a unique story line. The book was a quick read but I felt the baseball facts was a bit annoying and overwhelming while taking away from the story. A great story about friendship, forgiveness and acceptance and perfect for young readers. 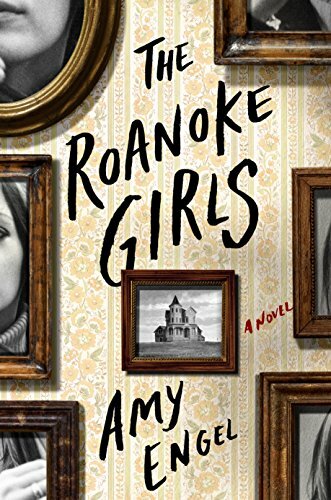 After the death of her mother, 15 year old Lane Roanoke moves in with her grandparents and her cousin, Allegra. In her grandparents' vast estate in rural Kansas, very little is known of her mother's mysterious family. However, she quickly embraces life as one of the rich and beautiful Roanoke girls. Lane discovers one of the family's dark secret and runs away. Several years later, her grandfather calls to tell her Allegra is missing. Will Lane risk everything to find Allegra? Is someone behind Allegra's disappearance? Who is Lane able to trust? The novel is beautifully written and an engaging read. It kept me on the edge of my seat to guess the family's secrets, but I must admit the secret was a bit predictable. A good book for a rainy day or for the beach! Sara Jenkins couldn't wait to move from hometown of Sweet Bay, Alabama. She moves to New Orleans to open her own antique shop, Bits and Pieces. 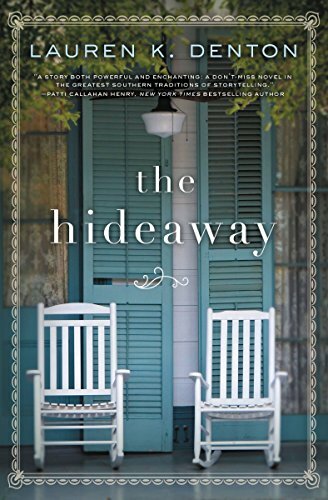 However, Sara's last living relative, her grandmother passes away and Sara inherits her childhood home, The Hideaway. When Sara arrives she hopes to finish the renovation of The Hideaway and quickly return back to her life in New Orleans. But she discovers a side of her grandmother she never knew before and she feels more at home at Sweet Bay than she ever did. Will Sara be able to see passed her grandmother's quirky persona? Will Sara find somewhere she belongs? What secrets are hidden away at the Hideaway? The novel was a quick and interesting read. I like how the novel alternated between the past (the grandmother's past) and the present (Sara's present). It made the story multi-faceted and different. After reading this story I thought about all the stories the older generations of my family and how they always wanted to have someone to share their story with. Sometimes, it hard to appreciate what you have in life until it's gone. A touching novel and I can't wait to read other books from the author.